including green tea, jasmine tea are also sometimes served cold as iced tea. ginger lemon iced tea, lemon iced tea. shared Grape Lime Iced Tea recipe in my blog, hope all of you like it. prepare the tea base, bring water to a boil. green tea bags and sugar, keep aside to infuse. keep this tea base in freeze till to chill. juice, lemon wedges and serve chilled. for better and healthy taste. 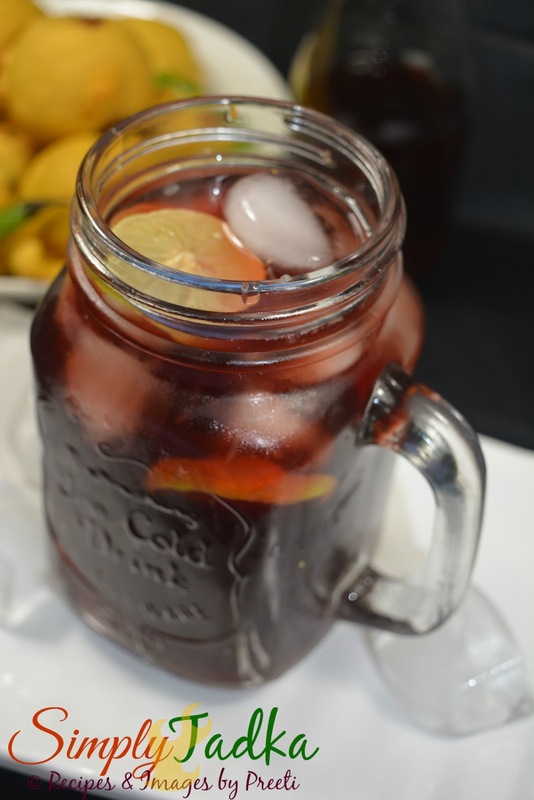 recipes, chilled tea recipes, fruit based iced tea, lemon recipes. I have recently become a lover of iced teas. Love this version with grapes.. The grape version of iced tea sounds fantastic , very refreshing and healthy . Thats a very refreshing iced tea, am in love with this drink. The picture looks very refreshing Preeti.. I love cold tea and I am definitely going to try this. Great share thanks. super refreshing drink fr the summer ! Lovely.. I completely surrender for the color!! I love iced teas as that's what hubby and I have often in the hot weather of Mombasa. Your iced tea is tempting. Love the use of grape juice here Preeti. 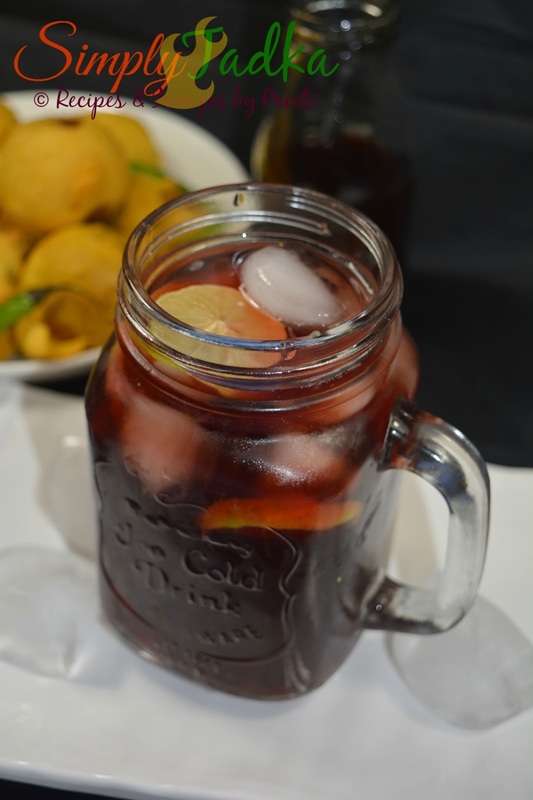 Grape iced tea sounds very different and delicious Preeti.